Victor J. Musleh Jr. was born and raised in Ocala, Florida. He received his Bachelor's Degree from the University of Florida in 1990 and his Law Degree from Stetson University College of Law in 1993. He has been a member of the Florida Bar and U.S. District Court, Middle District of Florida since 1994. Over the past 22 years, Victor has represented over 2,400 victims in Ocala/Marion County who were injured through the negligence of others. Victor is committed to the belief that the legal system can work for ordinary citizens and that average Americans can stand as tall as the wealthy, the powerful and the well-connected. He has litigated and/or tried cases against numerous multi-million and multi-billion dollar corporations involving wrongful death, motor vehicle accidents, medical negligence, defective products, insurance claims, premises liability, and workers' compensation. Victor has obtained over 150 six and seven figure verdicts or settlements on behalf of his clients. Victor is a member of the Million Dollar Advocates Forum whose membership is limited to trial lawyers who have achieved verdicts or settlements or in excess of $1,000,000. 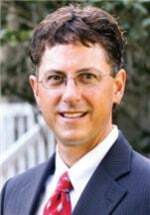 He has been a member of the Florida Justice Association (formerly the Academy of Florida Trial Lawyers) for 22 years and an Eagle member for over 17 years. Victor is a longtime member of Florida Workers' Advocates which is an organization designed to protect and defend the workers of this state, particularly those that are injured. He is a member of the Trial Lawyers and Workers' Compensation sections of the Florida Bar and was a charter member of the D.R. Smith Chapter--American Inns of Court. Victor has been invited to lecture fellow attorneys on the topics of personal injury and workers' compensation on behalf of The Academy of Florida Trial Lawyers, The Florida Justice Association, The Florida Bar, and the National Business Institute. Victor is a third generation Ocala resident and a lifelong member of Blessed Trinity Catholic Church were he has served on the parish counsel and as a lector. Victor along with his wife (and law partner) Kelly were honored to have chaired a Marion County March of Dimes WalkAmerica which raised nearly one million dollars for this worthy cause. Victor enjoys redfishing the backcountry of the Gulf on the beautiful Nature Coast, hunting, Gator Football, and attending his sons' high school basketball games.